JOVET - JORDAN VET. & AGR MED. IND. 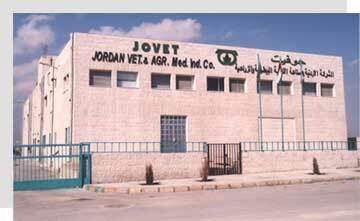 CO.
Jordan Veterinary and Agriculture Medical Industrial Company “JOVET” was officially registered as a limite liability company in 1994. The Objectives of the company is to meet the increased demands in finished veterinary pharmaceuticals at the national, pan Arab and international levels, to make available new products which have not been manufactured by other local companies, to cover the need for good quality veterinary pharmaceuticals at a reasonable cost and to conduct research on new drug entities which may have potential in animal treatment and increase its welfare. Jordan Veterinary and Agriculture Medicinal Company (JOVET) was officially registered as a limited liability company in 1994 with a capital of 900.000 J.D. The Company was awarded the status of a Feasible and Economical project Certificate by Jordanian Government in 1994, which entitled the Company for exemptions from customs on all its imports of equipment, machinery, raw materials, as well as income tax for Five years from the date of commercial production. • To meet the increased demands on finished Veterinary Pharmaceuticals at the national, pan Arab and international levels. 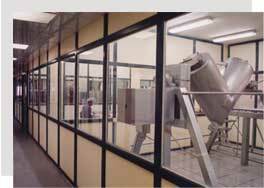 • To make available to the Animal Health Care new medicines which have not been manufactured by other local companies. • To cover the need for good quality Veterinary Pharmaceuticals at a reasonable cost. • To conduct research on new drug entities which may have potential in animal treatment and increase its welfare. “JOVET” is producing according to British, European and U.S. pharmacopoeia.